BPG is a new format that contends to replace JPG. There have been several such contenders over the years. This page compares some of the more recent contenders. 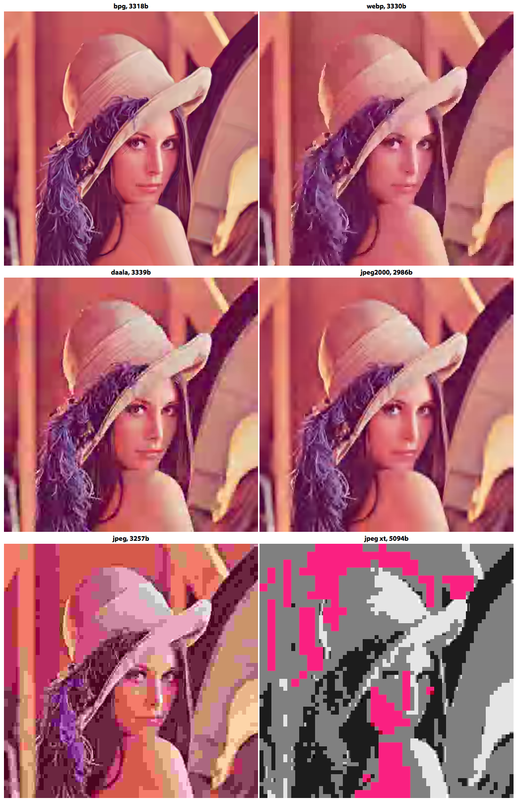 It particularly interesting to compare BPG with WebP. Use your browser to zoom in on the image and then continuously sweep the divider over it. The differences between the formats will become more readily apparent. IMO BPG does a good job, even better than Jpeg 2k. Sweep the divider over "St. Catherine" and watch the lace at her neck to see what I mean.